For many families results like these suggest the benefits of an international education with an English-langue curriculum. Schools, particularly those with established reputations of excellence, can prepare students for a seamless transition into an increasingly competitive and connected world. 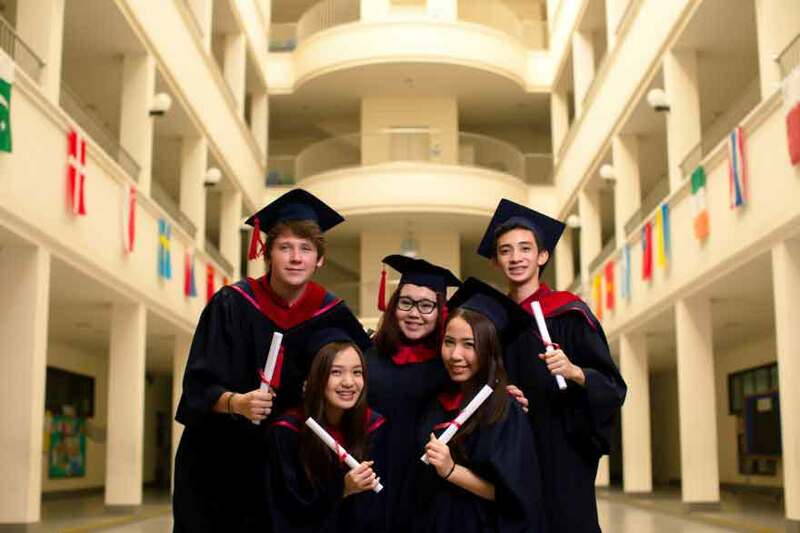 For leading students and student leaders who welcome challenges, schools such as The American School of Bangkok provide ideal settings for young people to maximize their skills and potential in a global microcosm. In short, a truly authentic international school affords students from many countries an opportunity to excel in a global village with global learners. These diverse learners, separated on paper by nationality are united in person in schools that promote common values as they master English a common language. ASB, for example, is a highly regarded international school that propels students to excellence in an American curriculum with an international perspective. Each of the two campuses features rigorous academic programs that have created educational pathways to academic success for more than 35 years. In that time, each of the graduates has attended college and many have already distinguished themselves in professions and businesses. Currently ASB is home to students from approximately 45 countries. The graduates have been accepted in prestigious schools including the University of California Berkeley, Purdue, Ohio State, University of British Columbia, the University of Chicago and the University of Washington. The groundwork for these international citizens and global ambassadors has been laid by an accomplished ASB faculty. Currently there is a staff of over 100 certified and professional teachers, many with advanced or master certifications in their teaching field. The majority of the faculty is recruited directly from the United States of America, Canada, and the United Kingdom. The educators have an abundance of experience, not only in education but also in other areas of expertise, such as fine and performing arts, business studies, information technology and foreign languages. Accordingly, this faculty diversity allows students to excel in and out of the classroom. Academically, ASB has been acknowledged by College Board as the only school in Thailand authorized to offer the elite Capstone Diploma. As of School Year 2016/17 students can join a cohort pursuing the rigorous program that requires a minimum of five successful advanced placement classes. In offering this opportunity ASB stands alongside other leading regional international schools such as The American School in Japan, Singapore American and Hong Kong International. Beyond the classroom ASB is also alone in providing students an in-house golf program. The Green Valley campus neighbors a 7000 yard, Bobby Jones-designed golf course, and striking while the irons and woods were hot, the founder incorporated these serendipitous surroundings into the curriculum with the International Preparatory Golf Academy. Students enrolled in this program combine class work with golf sessions enhanced by technology and electronic driving ranges inside the school, putting greens outside by the main gate and a minimum of 36 holes a week on the adjacent course. This IPGA curriculum is unique to ASB in Asia and has helped senior Panat Bodhidatta earn a golf scholarship to the University of Washington. He says, “The (ASB) program with the new facilities has helped me win 10 tourneys, earn a scholarship and prepare me to join the PGA.” To date nine students have earned golf scholarships. Moreover, the scholarship program is expanding. 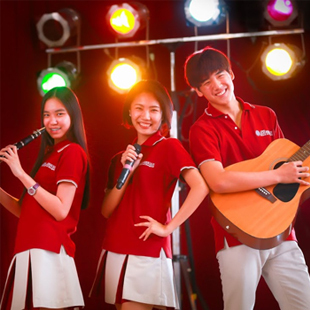 The school’s vigorous performing arts program which this year has featured major musical productions at each campus has just announced a scholarship program for Thai students who will compete in a nationally broadcast quiz show, “The Learning Curve.” The top 100 applicants will compete for the honor becoming one of the nine finalists, each of whom will be eligible for scholarship consideration. Beyond the Thai television scholarship, ASB offers scholarships to international students based on academic merit and leadership potential. Information about these programs is available at www.asb.ac.th. This thought captures the qualities of the school. Like the finest of international labels found in our closets, we like to think the brand, “ASB made in Thailand, for over 30 years, especially for our students ” stands apart from the others.